The concept of "nudging" has hit news headlines in recent years following the implementation of nudge policies in many parts of the world, the establishment of behavioural policy units in some countries and the award of the Nobel Prize in Economics to the behavioural economist Richard Thaler in 2017. However, questions remain about whether nudging is an optimal approach to policy-making. 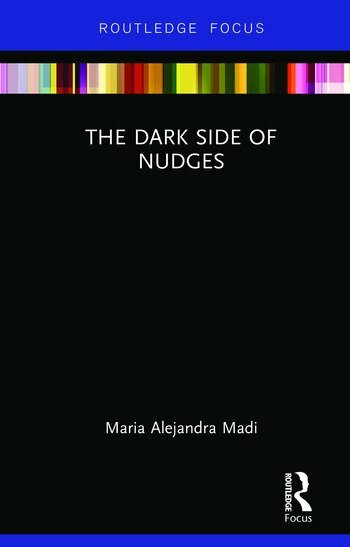 This book presents a critical approach to the study of nudging to highlight the foundations, rationale and effects of current policy-making trends in the neoliberal age of behavioural economics. In this provocative book, the author presents a re-examination of the methodological foundations of behavioural economics and its consequences for addressing the deep social and economic policy challenges of our times. It is argued that, although the concept of nudge rejects the theorization of economic knowledge under models of strict rationality, the focus on personal choice and welfare in nudge policies only serves to reinforce the emphasis on methodological individualism in economic thinking and economic policy. The complexity of social and economic policy problems of the 21st century calls for a revision of our conceptual outlooks, and to increase recognition of the failure of methodological individualism in economics to address the unprecedented social, political, and environmental challenges of globalization. Offering a new take on the epistemological assumptions underlying behaviourally-informed policies, this book will prompt the general public to consider new ideas about the darker side of behavioural economics. Maria Alejandra Caporale Madi is a retired Professor at the Instituto de Economia, State University of Campinas, UNICAMP, Brazil. She is Assistant Editor of the International Journal of Pluralism and a member of the Editorial Board of the International Journal of Green Economics.